Speyside distillery Tamdhu has released a 12-year-old entry-level whisky to replace its existing core 10-year-old expression. The whisky is fully matured in a combination of first-fill and refill American and European oak ex-oloroso Sherry casks, and is bottled at 43%. The whisky is said to carry notes of ‘cinnamon, dried fruit, banana’ and ‘classic Sherry oak depth’. The outer packaging also details the importance of Sherry in Tamdhu’s history, as the distillery currently matures its core range exclusively in ex-Sherry casks. 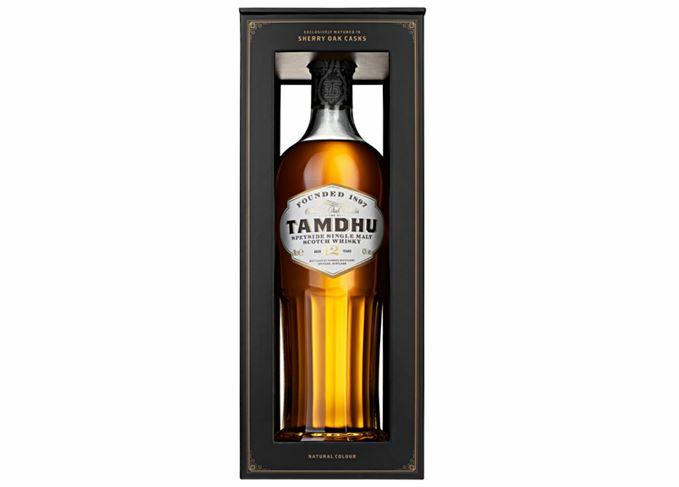 Tamdhu has begun rolling out the 12-year-old worldwide, priced from £45, although the expression won’t see a UK release until early 2019. The distillery’s latest core range update comes after Tamdhu celebrated its 120th birthday last year. Despite the landmark anniversary, the distillery was in dire straits just a few years ago: Edrington mothballed Tamdhu in 2010, but Ian MacLeod purchased it two years later, refurbishing and reopening the distillery with new warehouses, washbacks and a visitor centre. The distillery is celebrating the occasion with a commemorative whisky chosen by staff members. Whisky fans are asked to come forward with memories, artefacts and photographs. The Speyside distillery has matured its latest release in ‘exceptionally rare’ ex-oloroso casks. The distillery has released the fourth annual expression in its NAS series.